Actor reassures that he was not escorted out, but security did accompany him to "the top of the stairs." 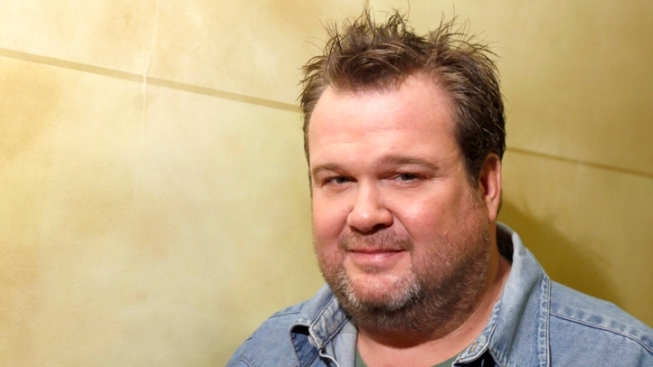 "Modern Family" star Eric Stonestreet. It's a ball game--what do you expect? "Modern Family's" Eric Stonestreet apparently had a little run-in during Sturday's Dodgers game in Los Angeles with a fan from the other team, and it got him in a little trouble with the security. But don't assume he got kicked out of the game, because he totally didn't. "i did NOT get kicked out of the Dodgers game last night. did i get escorted to the top of the stairs by security? yes. yes i sure did," Stonestreet tweeted Sunday. The actor and Emmy nominee reportedly was asked to leave after he allegedly got into a verbal altercation with a St. Louis Cardinals fan, who was heckling a Dodger player. Well, at least the boys in blue know they have Stonestreet to back them up.